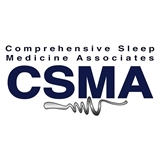 Comprehensive Sleep Medicine Associates (Houston) - Book Appointment Online! Providing Platinum-Level-Care, Jerald H. Simmons, MD, Triple Board-Certified in Neurology, Epilepsy and Sleep Disorders. He is the founding-director of Comprehensive Sleep Medicine Associates. Internationally recognized by Sleep Review Magazine as a Top Sleep Center, he is an H-TX Magazine Top Doc, also Texas Monthly Super Doctor and national news-outlets seek his expert opinions. He leads the CSMA team's expert training programs. In addition to providing excellent patient-care he collaborates with experts to improve-the-field of sleep via research, publications, teaching, lecturing as the founding-director of the Sleep Education Consortium, Inc, non profit, w/a mission to provide education on all aspect of sleep for the dentist, MD and community at large. The nurse practitioner was AMAZING!!! She was so helpful and clear in explaining everything and made me feel extremely comfortable.